From Defendant to Defender – Attorney Talks Poverty, Crime, Police Brutality, Rehabilitation in "The American Dream: HisStory in the Making"
ATLANTA, Aug. 3, 2015 /Christian Newswire/ -- Assaulted by cops and pigeonholed into a class of "bad kids" by Judges and attorneys, David Lee Windecher spent 8 years of his life angry and fighting against "the system." 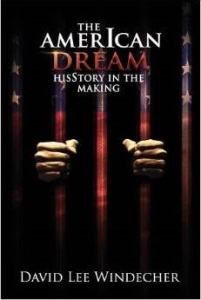 David Lee Windecher addresses poverty, crime, redemption, rehabilitation and the flaws in America's legal system by recounting in breathtaking detail his inspirational transformation from defendant to defense attorney in "The AmerIcan Dream: HisStory in the Making." David was first arrested at age eleven. What started as desperate measures to feed his family of six turned into a criminal lifestyle racked with vice and violence. Over the following eight years, Windecher joined a gang, sold dope, built and masterminded a crime ring and was arrested 13 times. David Lee Windecher beat the self-imposed negative cycle of street life through an unwavering faith in God, support from his family and sheer commitment to be better. David Lee Windecher is a criminal defense attorney practicing in both Georgia and Florida and recipient of the Martindale-Hubbell Client Distinction award in both 2013 and 2014. In 2015, David founded RED, Inc., a non-profit organization sponsoring GED programs for young juveniles facing non-violent criminal charges and capable of rehabilitation through an education. David Windecher is a business owner, HLN Legal Analyst and motivational speaker. Windecher speaks passionately about police brutality, the demise of Americans' 4th Amendment Rights and solving America's gang problem. David wrote his autobiography to portray the difficulty of obtaining the American dream as an impoverished minority. AVAILABLE ON Amazon and barnesandnoble.com.